A buyer can purchase a short sale property at a discount. 2. 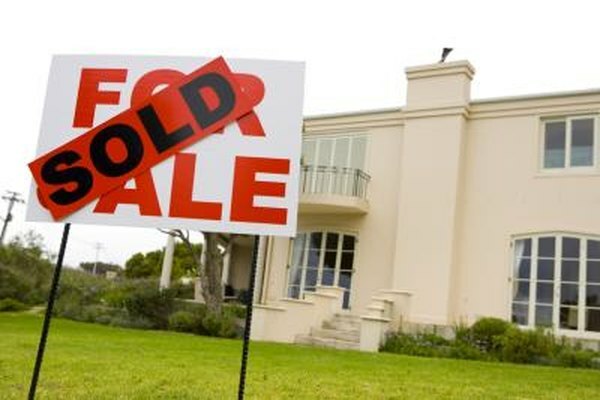 Can Executors Do a Short Sale of a Home? The proceeds of the sale of a short sale property are an amount that is lower than the seller’s unpaid mortgage debt on the property. The homeowner qualifies for a short sale on a mortgage that is in default with the lender by demonstrating a financial hardship and the inability to maintain the remaining payments under a mortgage loan. A short sale allows a seller to opt out of being responsible for paying the mortgage without obtaining a profit from the sale. The proceeds of the sale are directly disbursed to the lender. Prospective buyers can make offers to purchase the short sale property, but the lender makes the final decision to approve or reject the purchase contract between the buyer and seller. Upon accepting an offer from a buyer, the seller has to prepare a short sale package according to the lender’s guidelines for short sales and submit it for approval. Most lenders will not accept an offer if it is significantly lower than the current market value of the home, which is the current amount that a home would sell for. Conversely, the appraisal value is an estimate of the property’s value based on factors, such as comparable sales, the home’s construction and the condition and square footage of the home. A certified appraiser makes a determination on the market value after performing an inspection of the property. The seller and listing agent may set a list price that is close to the current market value based upon their market research to determine the value of the property. The seller or the listing agent can hire an appraiser to provide an estimate of the market value. Before making an offer on the property, the buyer may perform a basic inspection of the property. While negotiating with the seller, the buyer may request information regarding the seller’s appraisal report and other research regarding the seller’s determination of the appraisal value. The seller’s appraisal may differ from the lender’s appraisal report, as the lender may hire an appraisal of the property while the seller awaits the lender’s decision. If the lender does not accept an appraisal report submitted by the seller’s agent, the lender will order its own appraisal of the property. A prospective buyer can also perform a comparative market analysis of the property by researching recent property sales, property values and tax records of comparable properties in the neighborhood. Comparable properties have similar architectural designs and sizes. Information regarding recent sales of properties in a certain area is available as public records at the county assessor’s office in the county where the property is located. Also, the buyer can hire a real estate agent to perform a comparative market analysis. Most agents have access to computer programs where they can find information on properties in certain areas. Although this information may not be the accurate appraisal value for a specific short sale property, the buyer can determine a general estimate of the market value. Luxury Desert Homes; Short Sale's Buyer's Guide; Barry Lotz, J.D., Ph.D.